Ice cream, cake and cookies all tantalize our taste buds with their sweet tastes. However, there are other desserts around the world that are just as pleasing to our sweet tooth. From Brazil to Hungary, here are seven treats that offer layers of sugary goodness. Bon appetit! Babka is usually an Easter treat. But you don’t necessarily have to wait for the holiday to arrive in order to sink your teeth into a fluffy slice when you can make it all year round. The Polish dessert is a yeast cake that is flavored with rum and topped with icing. Babka, which means grandmother, was given its name because the bread resembles the fluted skirt that Polish grandmothers typically wear. However, as long as it tastes good your guests won’t care much about its shape. The cake is prepared in a Bundt pan after eggs, sugar and dried fruit are mixed together in a bowl. After the ingredients are combined, cover the bowl to let the dough absorb the ingredients, which will cause the yeast to rise. After an hour, the cake should be placed in the oven and set at 350°F for about half an hour.Then it is ready for rum syrup to be drizzled all over it until its seeps into the bread. If your sweet tooth prefers a dessert a bit more custardy, then you’ll want to try Curau, a Brazilian- style corn pudding. You’ll especially appreciate this cold dessert on a hot summer day while its rich flavors of corn, milk and cinnamon dance around in your mouth. Corn (without the cob) and milk are mixed in a blender and then strained into a sieve pot. Of course no dessert is complete without butter and sugar, which are added into the concoction as well as a dab of salt. Then it is simmered on the stove while constantly stirred until it transforms into a creamy substance. The Brazilian treat is then left to cool and sprinkled with cinnamon for the ultimate taste. Dumplings dipped in syrup may sound like a dessert a tad too sweet for the palate, but if they are prepared Indian style your taste buds will be begging for more. Gulab Jamun is a traditional and favored dish of the country, and once you take a bite out of its delicious recipe, you’ll instantly become a fan as well. In order to make the dessert, water and sugar are combined and boiled to let the sugar dissolve. The dumplings are made by blending flour and powdered milk and occasionally adding cream to the mix. The dough is then divided into small balls, that are rolled and fried on a pre-heated pan. Once they are done, they must be drained before the Gulab Jamun is put to sit in the syrup for a minimum of two hours. The dessert can be served with or without the syrup — or better yet with ice cream. You can never have enough cake, especially one that’s layered and smeared with chocolate. And as tempting as it might sound, just imagine how this culinary masterpiece tastes with ingredients drenched in buttercream, which is how Dobus Torte got its claim to fame during the 19th century. Thanks to its creator Jozsef C. Dobos, even the Emperor and Empress of Austro-Hungary couldn’t get enough of the cake’s exotic flavors, and now the world can too. While some Hungarians believe five is the magic number of layers that are required for the cake to be authentic, others believe its seven. But if you’re a true fat kid who loves cake, the more the merrier. Nevertheless, each layer must be baked individually then smudged with buttercream made out of chocolate. 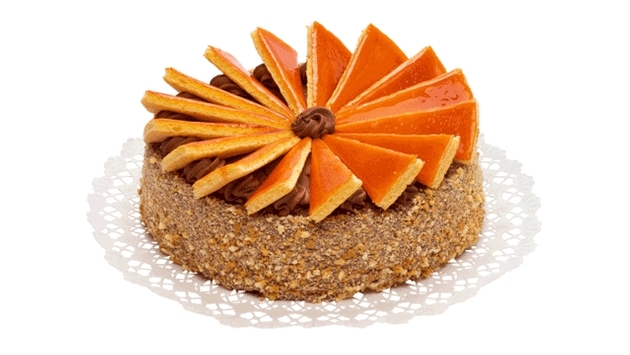 As the icing on the cake, the top of Dobos Torte is layered with glazed caramel. Beignets are just as synonymous to New Orleans as gumbo, and because of that Louisiana’s state donut is worth every bite. Since its migration to the Crescent City by the French in the 18th century, the dessert has become a beloved treat served in homes and found in many restaurants. The flat, squared donut is prepared by combining yeast, eggs, water and sugar before the frying begins. To top it off, it is sprinkled with powdered sugar right before it is ready to be served. If you really want to eat beignets like a local, wash it down with café au lait. We’ve found another type of dessert that just might pack on the pounds, but at least the extra weight will taste pretty good. Souksluitjies Dumplings is a traditional South African food that includes sugar and of course a whole lot of butter. It arrived in the country with German settlers and it is the perfect ending to any meal. In fact, you’ll be completely stuffed since its ingredients are known to be comforting with a recipe that includes baking powder, milk, cinnamon sugar and flour. If you’re a lover a dumplings, why not take your taste buds to South Africa? Grass jelly may put a bad taste in your mouth, but if you’re looking for something a bit different, this dessert might be your best bet. It is common in Asia, but specifically known as “Chao Kuai” in Thailand and requires just grass jelly, sugar and crushed ice for completion. Brown sugar is dissolved by boiling water and then left to cool. The grass jelly is formed into cubes before it is saturated with syrup and crushed ice. Mixed fruit can also be added to intensify its flavor. Now can dig in!